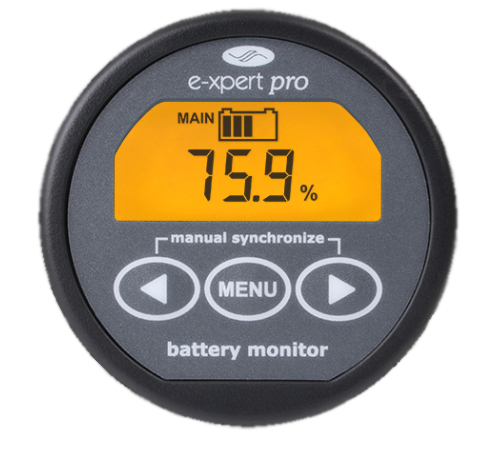 Designed for professional users, Expert PRO is an accurate amp-hour counting battery monitor. The unit provides additional information over the Expert Lite unit as well as historical data. 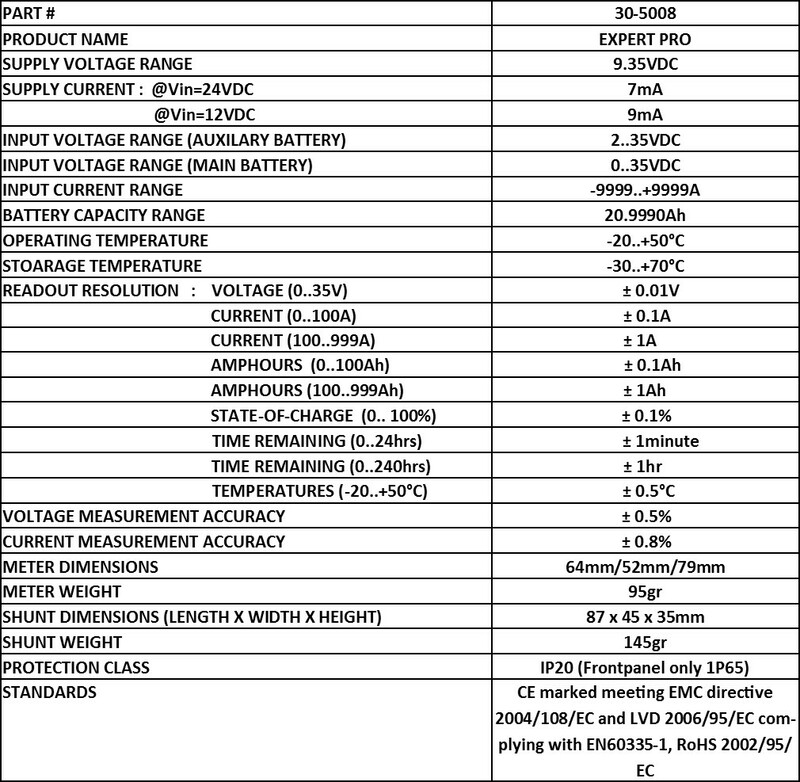 Displays voltage, current, consumed amp-hours, remaining battery capacity and time remaining. Optional Temperature Sensor. Provides full battery information for one bank and voltage only for a second battery. 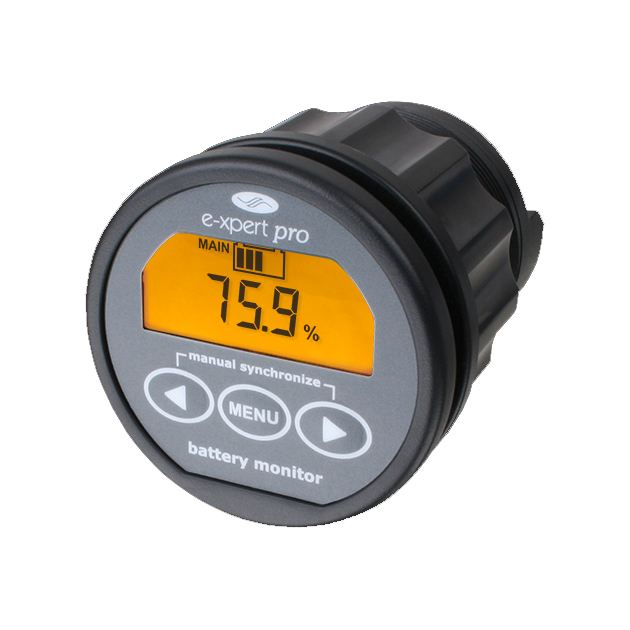 Expert Pro battery monitors are compatible with all lead/acid and lithium batteries. The internal alarm relay feature allows you to run a generator when needed or to turn off devices when the battery voltage exceeds programmable boundaries. A new shunt selection feature enables the Expert Pro to measure up to 10.000Amps. Optional PC interface and software provides a windows based Dashboard and batch programming.